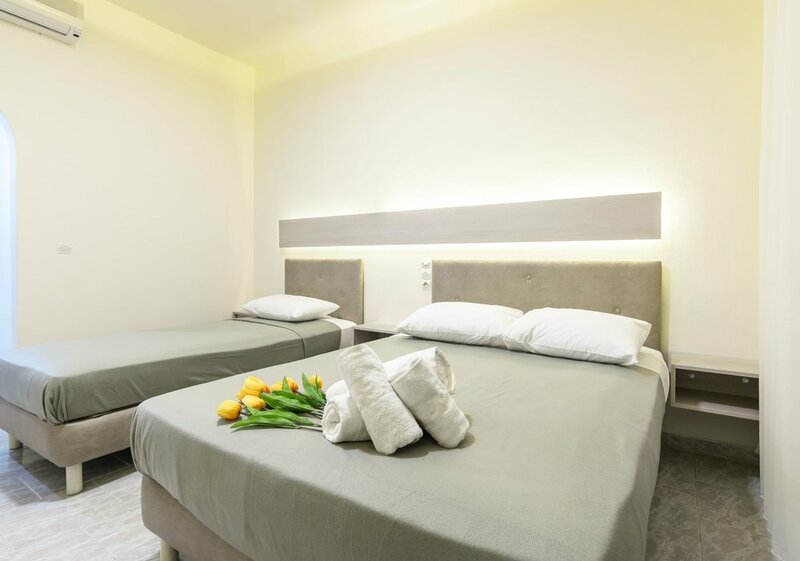 Our Studios with Sea View are situated on the first floor, have a size of 24 m² and feature an open plan bedroom with one double and one single bed. The room can comfortably accommodate up to 3 people. 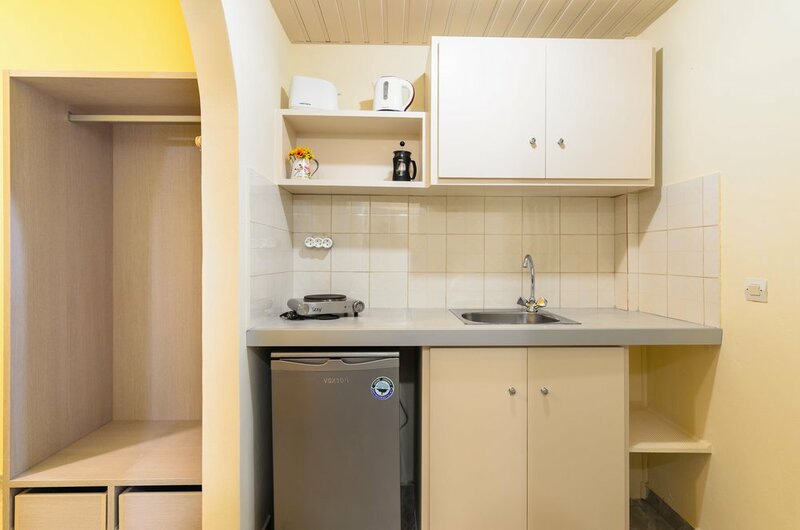 Our studio accommodations feature a kitchenette with all necessary kitchenware, cutlery, kettle, toaster, fridge, a cooking ring. 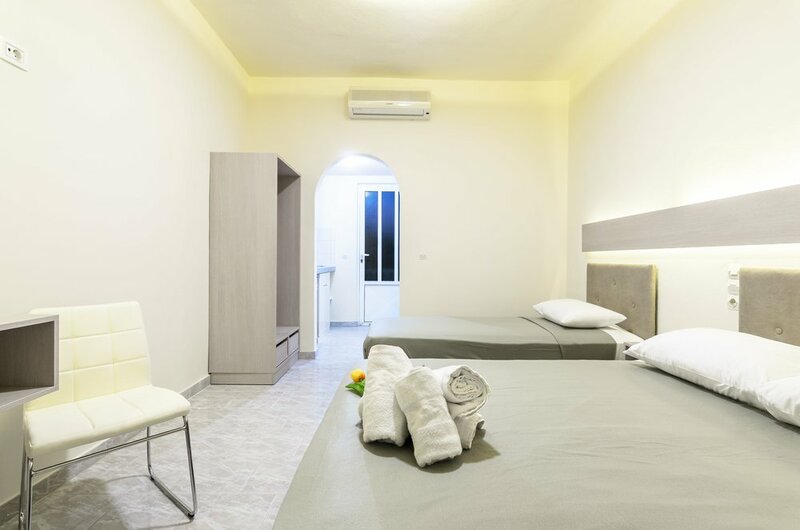 The studios also have an en-suite bathroom with shower and have a safe deposit box, air-conditioning, free WiFi and a furnished veranda (4 m²) with an amazing view of the sea and the garden. If you are looking for a room with TV and a larger veranda, please consider our Deluxe Studios. Some photos of our high-end-style standard vacation rental studio units.